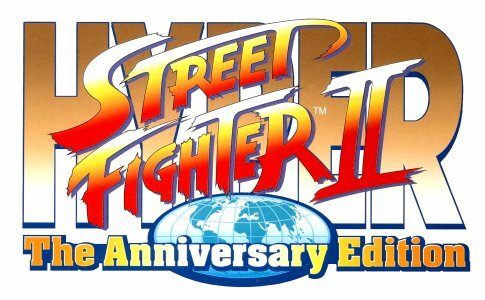 REVIEW: Created to celebrate the Street Fighter's 15 years and 27 million copies on the market, Street Fighter: Anniversary Collection contains two games: Hyper Street Fighter II and Street Fighter III: 3rd Strike (which was previously only available on Dreamcast & Arcade). 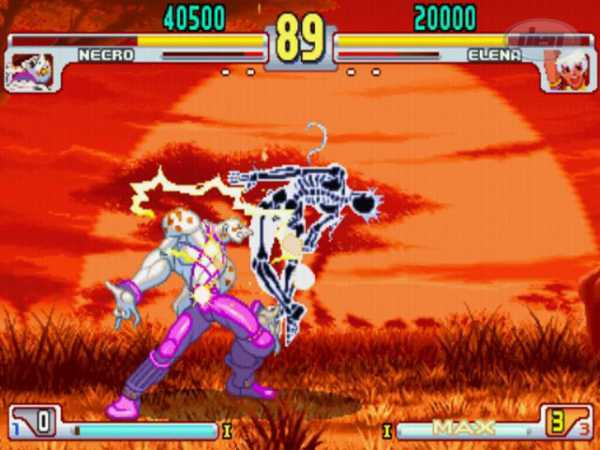 Basically, if you don't own a Dreamcast or access to an arcade with Third Strike, Anniversary Collection is your ticket to one of the best fighting games in existence. 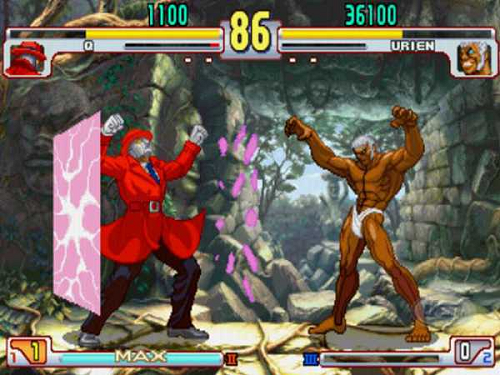 You thought Super Turbo was the final SF2 installment? Think again! 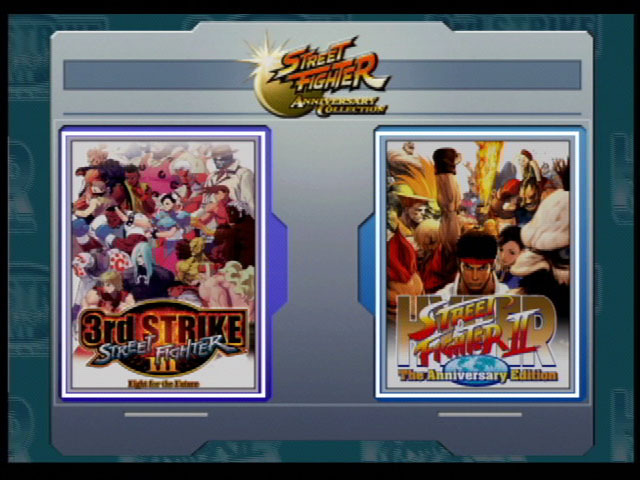 But before we get on to Third Strike, good old SF2 has been "enhanced" yet again. 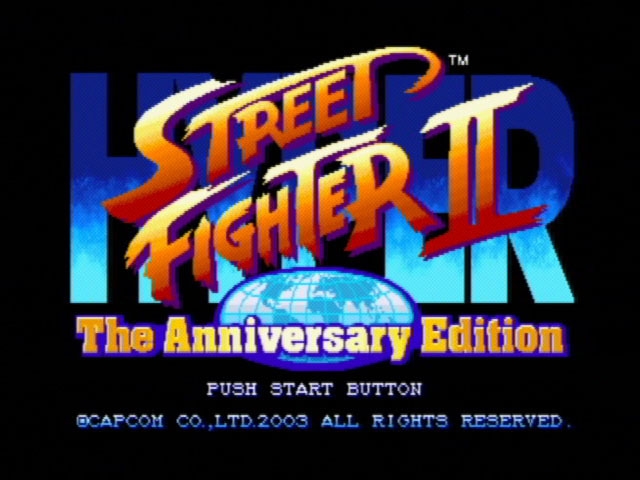 Just when you thought they were completely done with Street Fighter 2, Capcom gives us "Hyper Street Fighter II: The Anniversary Edition." 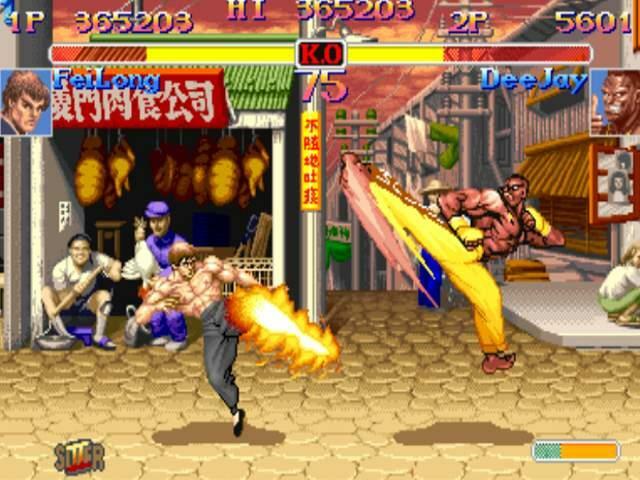 In this "final" rendition of SF2, players can use all of the different versions of the characters from every installment in the SF2 series. 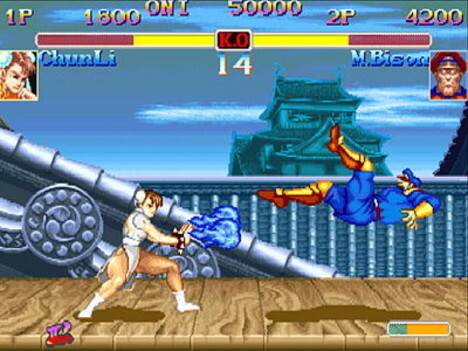 What that basically means is that you can play as Chun Li from Super Street Fighter 2: Turbo against Ryu from Street Fighter 2 Turbo... (complete with accurate character selection screen artwork... badass!) 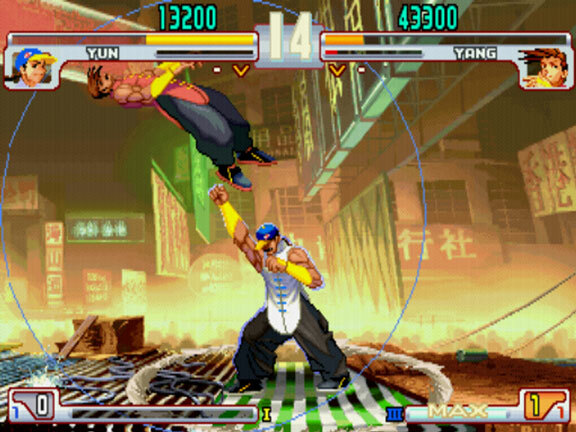 This allows for some fun flashbacks and the ability to experience the SF2 series in a new way... brilliant! You still fall for those old school tricks? 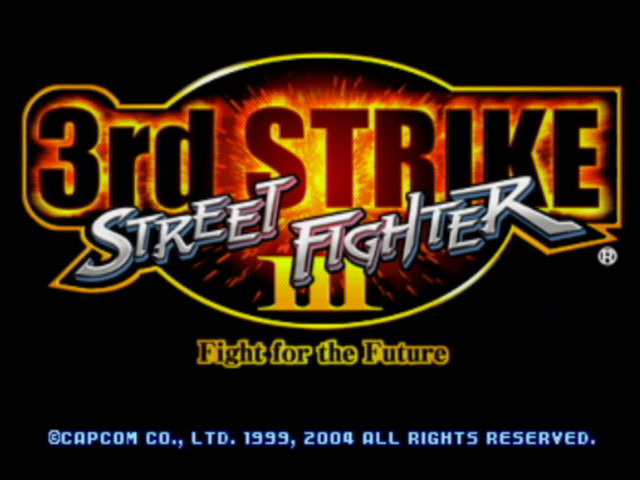 Finally, as the "headliner" of the collection, SFIII: Third Strike makes it's debut on the PS2 and Xbox! 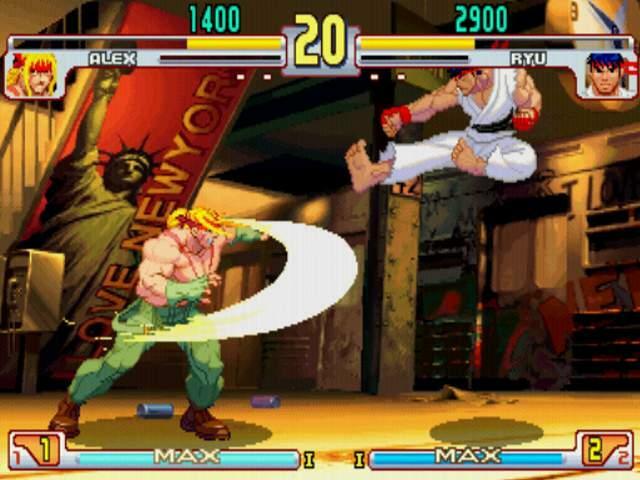 Capcom crammed everything from the arcade classic into the PS2 port without compromising any animations or smudging any of the 2D brilliance. Capcom also included a new "color filtering" option which lessens the color intensity, but nicely smoothes out some of the jagged edges of the 2D sprites. Overall, I'd say the PS2 version looks equal or possibly even better than the Dreamcast version with the filter turned on (and using an HDtv). Funny though how the intro still maintains some noticeably jagged edges within those beautiful sketches. Ahh well... I'm nitpicking. All the options from the Dreamcast version translate beautifully to the PS2. 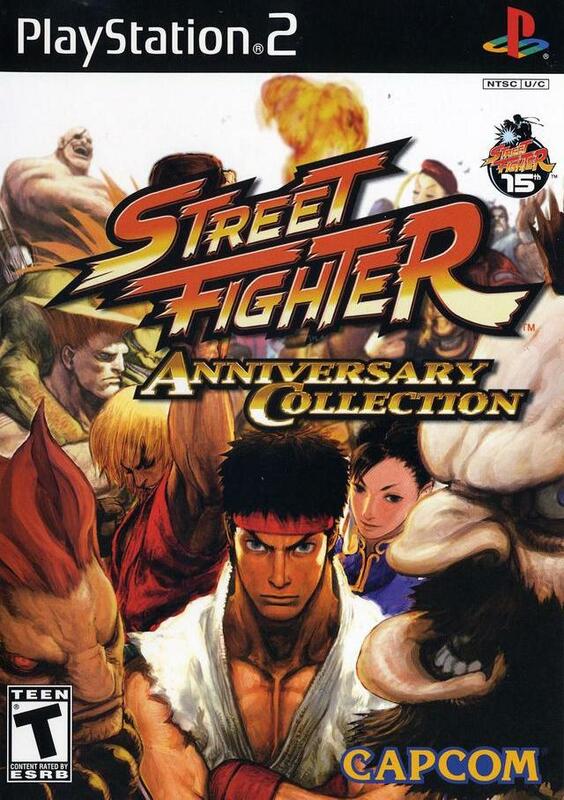 This version also includes the all new "original" soundtrack which was made specifically for Anniversary Collection. The "Arrange" soundtrack is turned on by default, and I actually prefer it rather than the Original; but it's definitely nice to have the option! Bwahahahaha... these guys are cool. Along with the two great games, the disk includes a full version of Street Fighter: The Animated Movie... one of the best video game movies of all time of course. 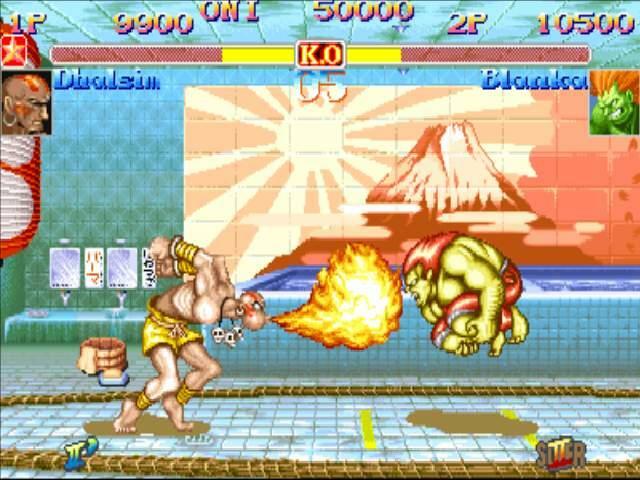 This release is no doubt an entertaining and reasonable package that every Street Fighter fan should own... there's just no excuse! On a side note, the text in the intro to this game looks like it came straight from TFG... scary. Makes me wonder if Capcom visits TFG occasionally? 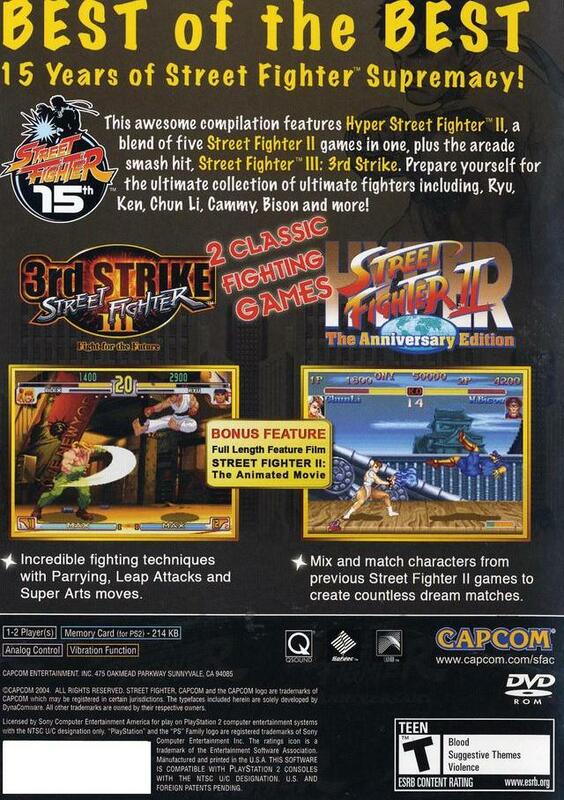 Like Capcom (and TFG) says... "True Fighting is Art"... and no "true fighting game enthusiast," should be without Anniversary Collection... c'mon everybody loves Street Fighter.